In a difficult economic environment, there’s a lot of pressure to reduce costs in a sustainable way that doesn’t damage engagement and productivity. 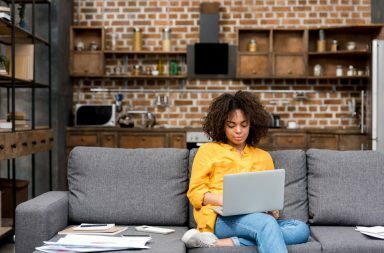 A study by the Centre for Economics and Business Research revealed that a “work from anywhere” culture could add an extra £11.5bn per year to the UK. We can use technology to aid us in working smarter, and as digital solutions evolve, we have opportunities to embrace a more flexible approach to managing our workload and workforce. Greater flexibility and digital agility enable smarter working and ensure we deliver efficiently for less cost outlay. We need to be open to exploring how technology can help create a more flexible and innovative environment that enables staff to work remotely – as well as via different devices – not only to reduce cost but to build an environment that gets the most from its workers. Flexible working is fundamental to the modern office environment. The professional and personal demands made by our modern way of life are not conducive to spending 9 to 5, Monday-Friday, in a conventional place of work. Many people are not necessarily at their most productive in a potentially noisy and distracting environment. So, if possible we need a solution that allows workers to complete their work in a timely manner without compromising on teamwork, collaboration and meeting declared objectives. Smarter digital working allows us to access, interpret, edit, share and use upon information wherever we are working. For that to happen we need the devices and an infrastructure that empowers work without barriers, and to collaborate with colleagues and stakeholder, whether working from the office or while on the move. Dave Coplin of Microsoft suggests this offers strategic opportunities for organisations. Flexible working should actually empower employees to choose the most appropriate time to do the work that needs to be done and fit your life in around it. The organisation trusts employees as professionals to make decisions that will serve the best interests of themselves and the organisation. It’s a culture that measures the output of work rather than the process of. Technology such as cloud storage and easy to access communication channels like Skype make it easy for the team to keep in touch from a variety of locations and virtual offices. Gathering around the boardroom table still has a place. However, it’s not always the best choice for team working, it’s great for the Friday evening drinks get together though. One of the challenges of working out of the office is that you miss the watercooler moments. You can’t just walk up to a colleague at their desk to chat about a pitch or contract. Private social networks like Jive and Yammer help employees collaborate across locations, devices and business apps. They can be accessed from anywhere in the world via an internet connection to collaborate and connect so ideas cross silos and efficiency improves. Employees want to work this and it works for employers too. 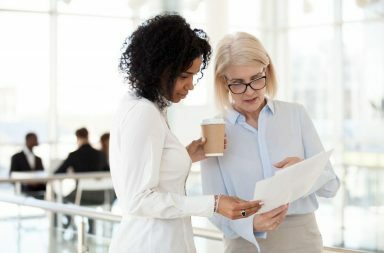 A study by the Institute of Leadership and Management that surveyed more than 1,000 organisations, found that four out of five (82%) managers reported flexible working in their organisations led to improvements in retention of staff, productivity, and commitment. At 10Eighty we firmly believe that a job done well, whatever the work pattern of the worker, should be valued for the contribution to delivering organisational objectives, not the hours or days worked. 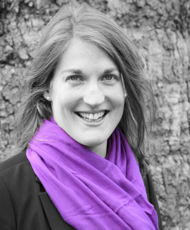 Liz has been providing HR solutions to a wide range of industries since 2005 and has worked with numerous firms in partnership with the client to understand their needs. She is a dedicated networker and latterly headed up the Financial Services sector based in the City of London. Her areas of specialism encompass career management, coaching, leadership and management development, employee engagement, talent management and career transition. She is a fully qualified consultant and passed the Career Counselling Services course run by Robert Nathan with honours, and has a First Class degree in art history from the University of St. Andrews.